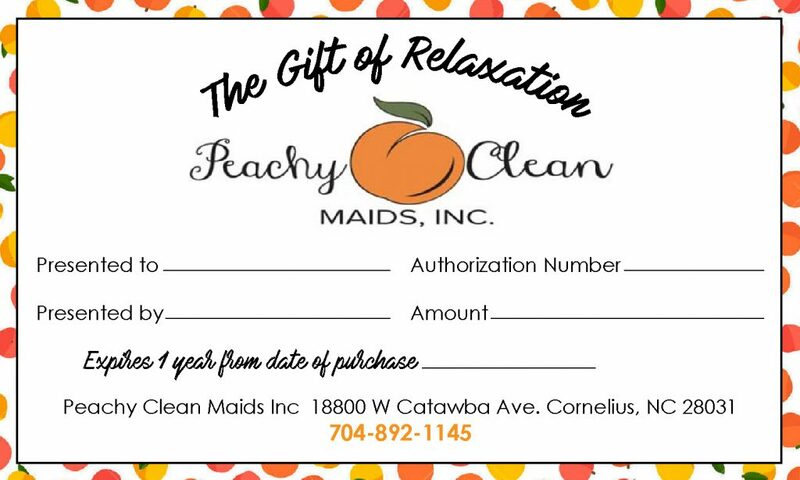 You may create an instant gift certificate which can be use for Peachy Clean Maids services. Just complete the gift certificate payment online purchase form below and you will be given an Authorization Code and Date of Purchase. Transfer the Authorization Code and Date of Purchase from the online transaction to the Gift Certificate printout and make someone’s day! If you would like us to send a Gift Certificate to someone, please enter their shipping information below. Otherwise, just leave this blank and your verification information will be emailed to you.